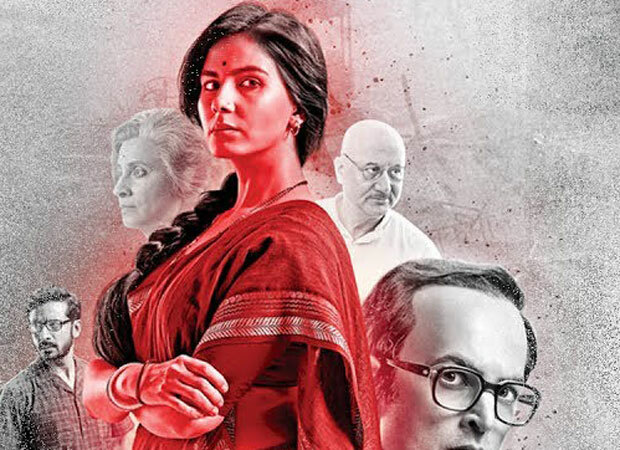 Filmmaker Madhur Bhandarkar's upcoming drama Indu Sarkar has not had an easy ride. At first, Congress party wanted to watch the movie before it was sent for the certification. Then, CBFC ordered 12 cuts in the film. Then, late politician Sanjay Gandhi's alleged daughter Priya Paul had moved Bombay High Court to put a stay on the release of the film stating the film is maligning the image of her alleged father. When HC refused to do so, the alleged daughter approached Supreme Court earlier this week to put a stay on its release. On Thursday afternoon, the Supreme Court cleared the decks for the release of Indu Sarkar which is hitting the screens tomorrow, July 28. A three-judge bench with Amitava Roy and A M Khanwilkar which was headed by Justice Dipak Misra said that the Madhur Bhandarkar's film, which is based on the 1975-1977 Emergency period, was an artistic expression which is within the parameters of the law and there was no justification to stall its scheduled release tomorrow. Madhur Bhandarkar's counsel told the bench that the Central Board of Film Certification (CBFC) has already ordered certain cuts and the makers have already carried them out. The counsel had also informed that a disclaimer has been put in the movie making it absolutely clear that it has no resemblance to any person, living or dead. Sanjay Gandhi's alleged daughter Priya Paul's counsel argued today at the hearing that the film had concocted facts and has maligned the image of former Prime Minister Indira Gandhi and her son Sanjay Gandhi. Featuring Neil Nitin Mukesh, Kirti Kulhari and Tota Roy Chaudhary, Indu Sarkar is scheduled to release on July 28.